QuizUp is an application designed for IOS and Android devices where two compete in a quiz. This means that there is a need for an internet connection throughout the game. Initially, the user creates his or her own account, uploads an image that differentiates him from the other contestants and selects the categories of interest, thus giving the necessary meaning to the game. 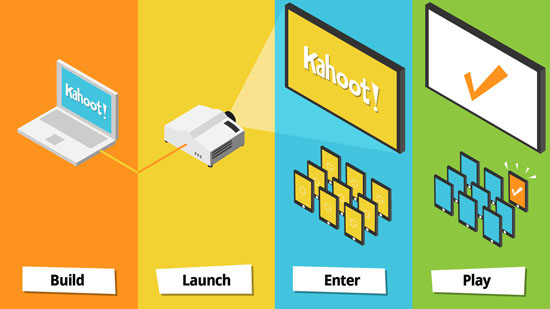 There are a number of categories from which the user can choose, some of them are of educational content and others are simply less connected to the learning process. These categories include topics from history, technology, literature, science, geography, mathematics, business, film, and even video games. The categories are given beautifully and clearly for the user, while the database of available quizzes is huge, with new quizzes being added daily. It is worth mentioning the ability of the user to compete in two types of play modes. The Single Player Game is a mode where the player is playing alone, essentially struggling without an opponent. His goal is to advance as far as he can in the selected category. The second mode is called Random Opponent Game, where the player faces other players from around the world. 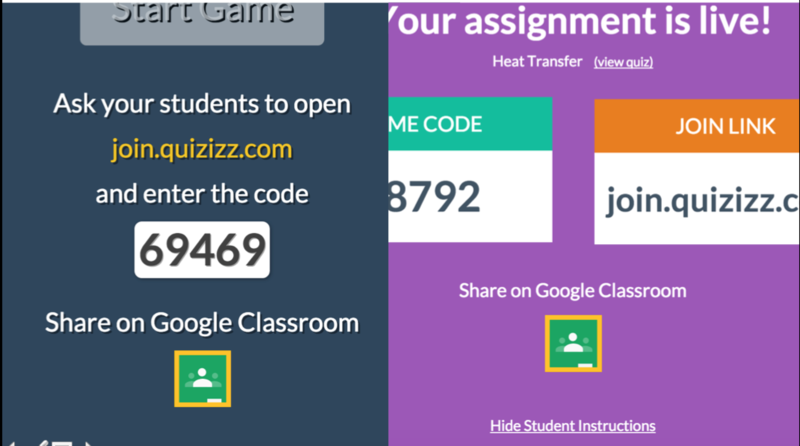 Both players have to deal with 7 questions, gathering points according to the answer and the speed that the correct answer was given. Winner is the one who has collected the most points during the session. One of the most important elements that enhance the player's interest is that in QuizUp he participates in a quiz on topics he already knows enough, as opposed to a more classic knowledge game that puts some random questions to the contestants. QuizUp also differs from other similar applications as it allows the player to communicate with his opponents, start debates, follow others, challenge friends, win achievements, and connect their Facebook and Google+ devices. The experience of the user is also enriched by the fact that regular tournaments are offered in the application. Thus, it can be said that it creates an active community of practice by promoting communication and interaction with other people who share common interests, ultimately leading to the establishment of new knowledge. Whenever a user wins a QuizUp, he wins points that are called experience points. The motivation is also increased because of the engagement that is developed through the option of Rankings, which are the game’s leaderboards. There the player is ranked according to the experience points he has collected in each category of interest. According to researchers (Vandercruysse, Vandewaetere, Cornillie & Clarebout, 2013), the competition cultivated on videogames will then lead to greater enthusiasm, which will ultimately lead to more concentration and desire for improvement in the subject. After the Quiz is over, the player receives in-depth feedback on his own and his opponent's selections, and in case of a winning outcome, he is rewarded with specific badges that are visible in his profile, thus further enhancing the gaming feature. According to Prensky (2001), uninterrupted feedback provided in a variety of forms rather than one-dimensional is responsible for establishing knowledge in the mind of the user, leading him to alternate his mistaken choices and ultimately to success. However, a drawback is the existence of Gems and Coins that are either earned through the application or purchased with real money. Those items allow the user to accumulate more experience points or redeem them to be able to participate in some tournaments while having certain advantages compared to other competitors. The design of the application is surprisingly good. It is bright and colorful but at the same time well-organized and ergonomic. Players will have no problem navigating in the application, finding the topics they like or participating in a game. During the quiz, the screen is properly designed with minimal distractions. The only thing the player can see is the score, questions and answers along with each player's name and profile picture. This helps the player immerse in the game by placing it in a state of flow. As Gee (2008) has highlighted, video games such as QuizUp offer experiences to people in a virtual world using the gameplay mechanics that it integrates to solve problems in an attractive and fun environment. Gee, J. P. (2008). Learning and games. The ecology of games: Connecting youth, games, and learning, 3, 21-40. Gee, J. P. (2004). Learning by design: Games as learning machines. Interactive Educational Multimedia, (8), 15-23.